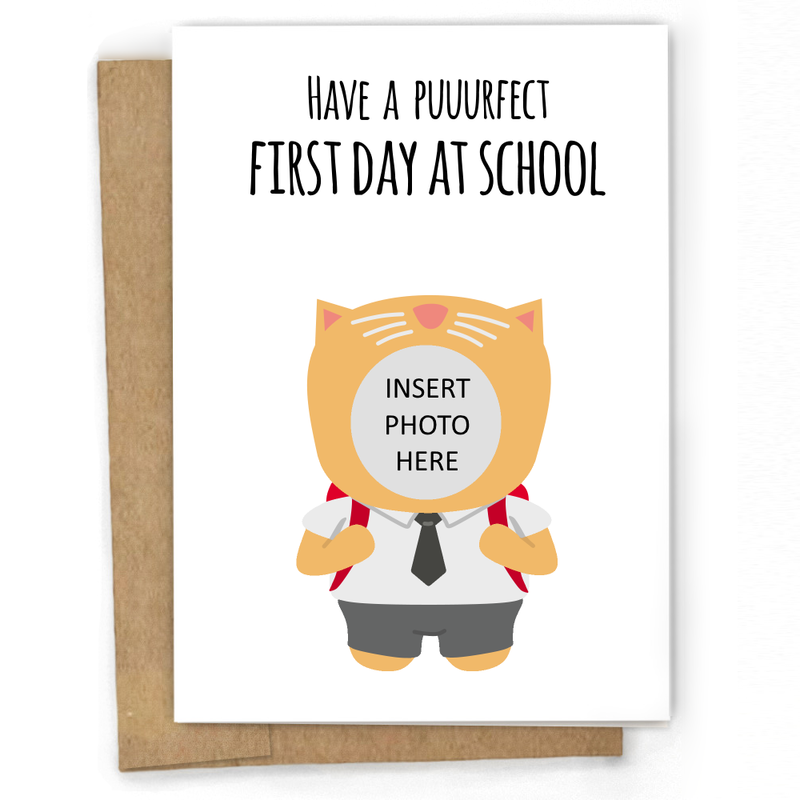 A child's first day at school is a big deal so mark this special occasion with this puuurfect card. This is a lovely keepsake they can have forever and being able to personalise it with their photo will put a massive smile on their face! The card is slightly smaller than A6 once folded, made using quality white card (260gsm) and fits in a C6 brown ribbed envelope. It also comes sealed in a cellophane wrapper. Sales are currently UK only - Please do not try and purchase one of our products if you live outside the UK. Thanks for visiting us and please come back soon!